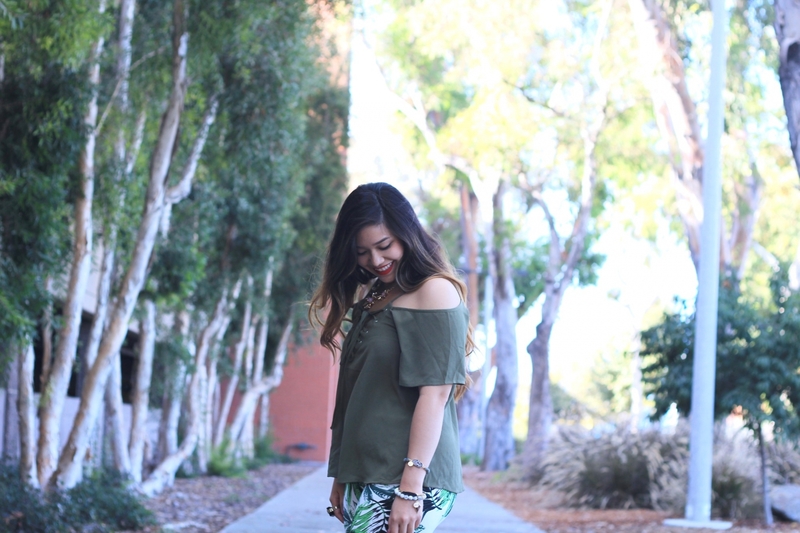 Nothing screams summer more than palm prints and tassels. I’ve been so obsessed with anything remotely tropical or botanical lately that I even started incorporating leaves into my flatlays. I absolutely love the summery and tropical vibe that palm prints and tassels bring. In fact, I know I’m not the only one because palm prints and tassels have had such a great run this summer. The problem is… FALL SEASON IS ALMOST HERE! 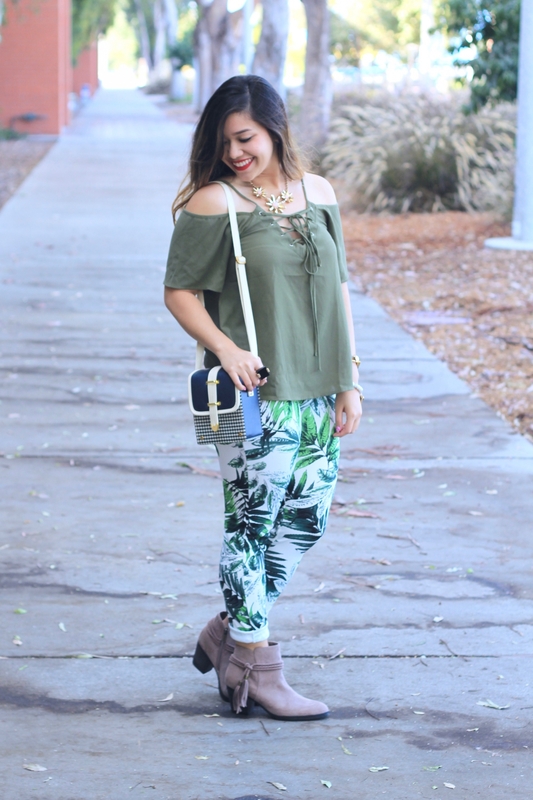 I’m definitely not ready to give up on all things palm print and tassels just yet. 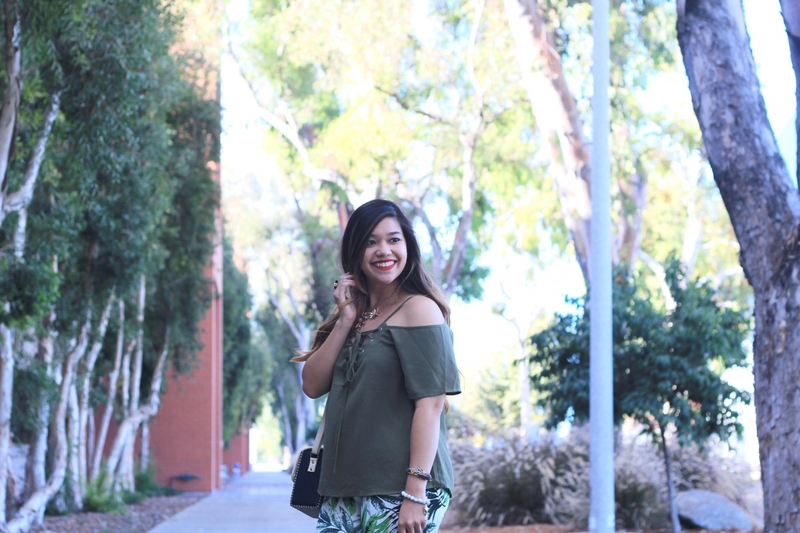 Which is why I have decided to embrace my love for all things palm print and tassels while transitioning into fall – starting with these adorable palm print pants and braided tassel booties. 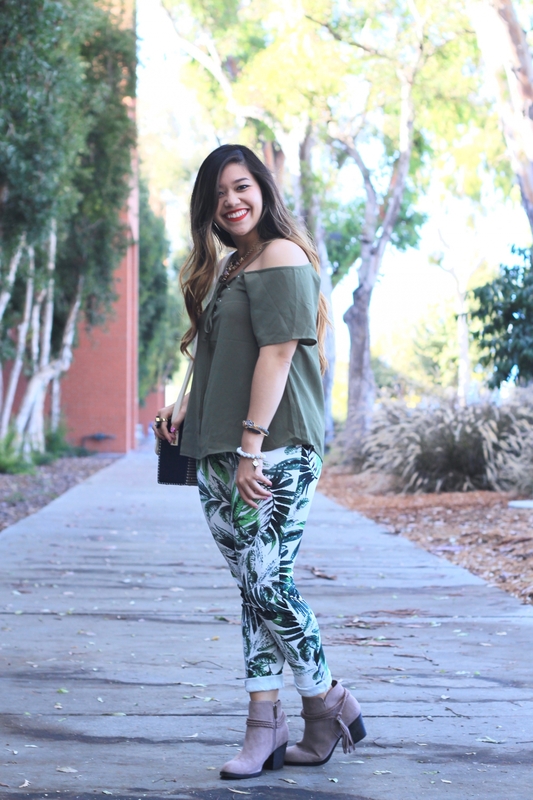 I absolutely love how these pants instantly brightened up my whole look all while evoking nostalgic memories of tropical beach vibes and sun-kissed skin. Who said that fall season has to be all about plaid, OTK boots, and pumpkin spice everything (all of which I LOVE, btw)? Very nice! 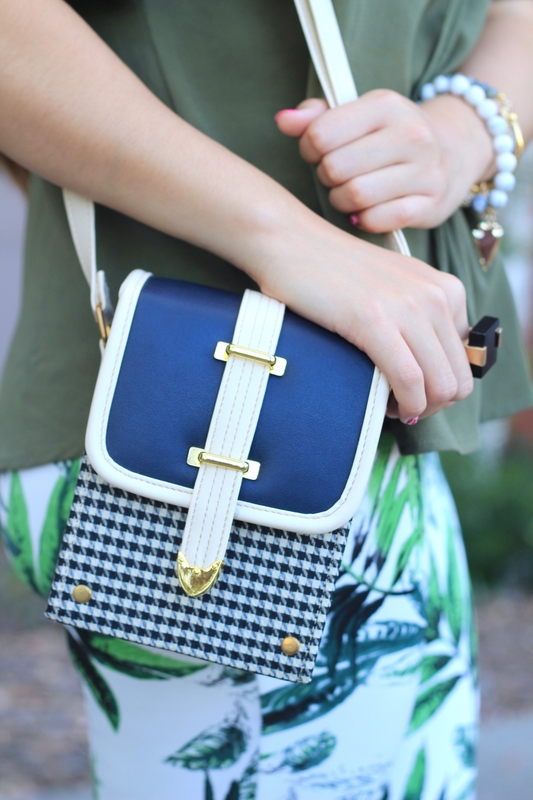 That bag is indeed so unique and one of a kind! Glad that you spotted it! And those druzy bracelets are gorgeous! I have yet to see any in Malaysia. Thanks so much, mummy!! 💕 I wish I got more of them! I haven’t seen anything like the two bags I got anywhere!! Love the look! Those pants look super cute on you! I am in love with this whole outfit! 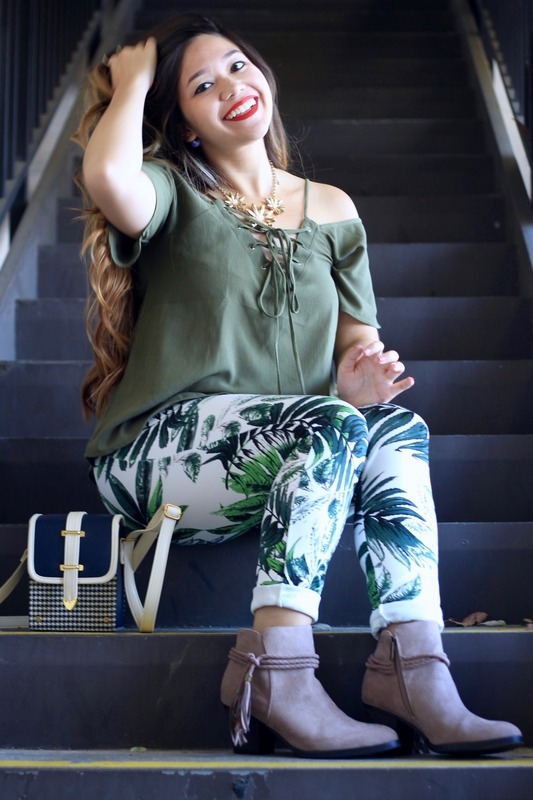 Those pants, that necklace, those shoes! Those booties are too stinkin’ cute, I’m a sucker for a good tasseled anything! 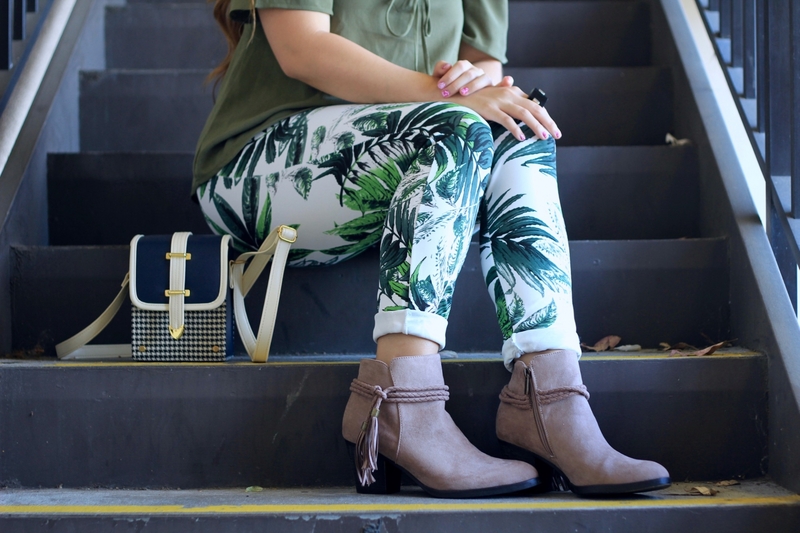 such a fun print, love how you paired it with the boots! Love the outfit, especially those boots! 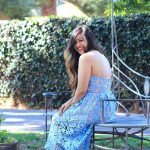 This oufit is so fun and it looks beautiful on you! That outfit is so cute! I love summer fashion and have a hard time letting it go once Fall comes around. Thanks for sharing! Oh I love those pants! So fun! 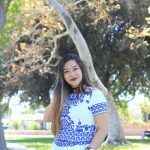 I’m also not ready to completely give up my summer wardrobe (especially all things white!) – so I like mixing/matching fall & summer pieces. 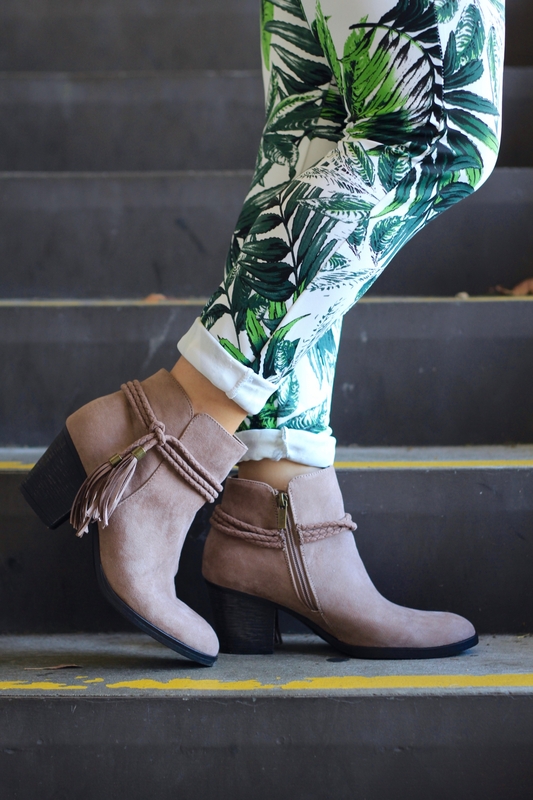 Absolutely love your adorable booties! 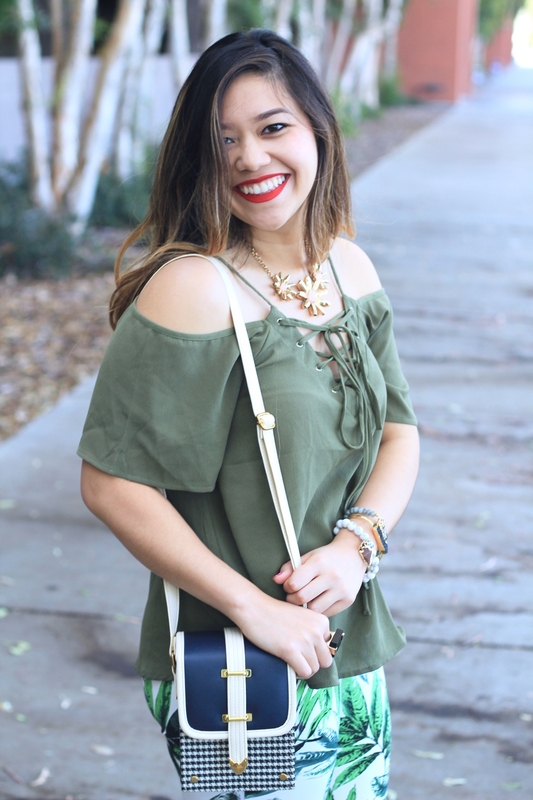 Tassels definitely don’t have to stay in the summer when they look like this! Such acute outfit and point I will of the details of the necklace and your bracelet as well. 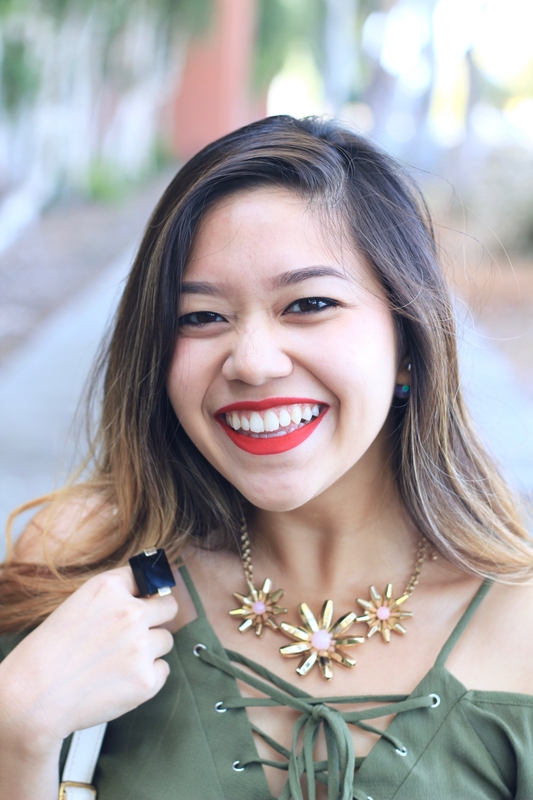 I love that bold red lip and those gorgeous booties! 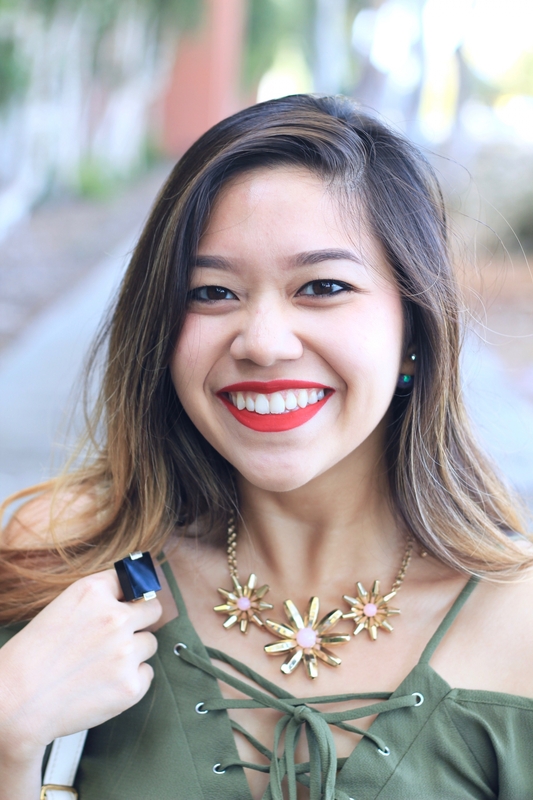 And your top is the perfect color for transitioning from summer to fall. I wish it would cool down here in Austin! Love the outfit, the accessories you have used are also awesome. 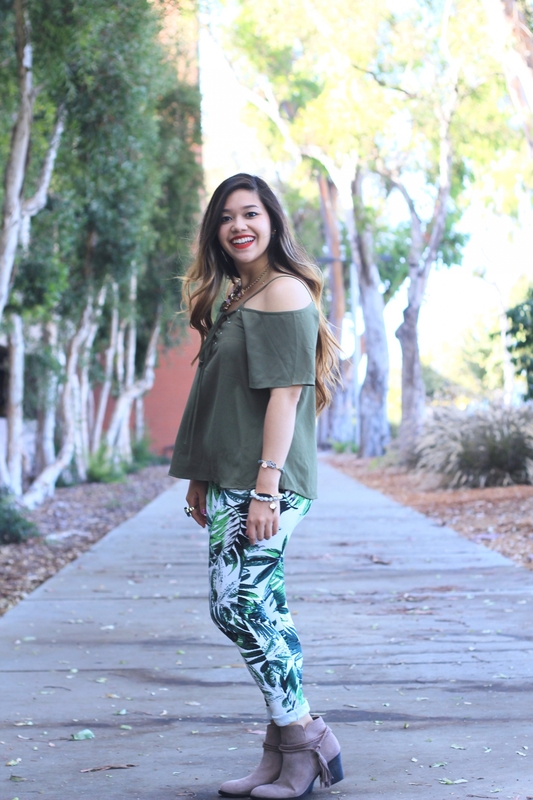 This outfits looks great, I love the leaves and the shirt is the perfect shade of green to match with it.